Euro Master Championship 2014: Gold for Salani! 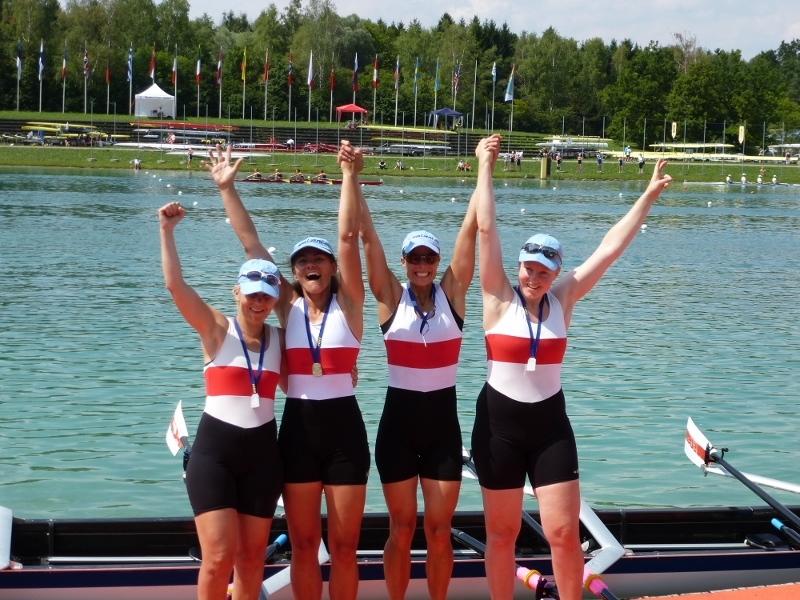 The Euro Masters Regatta – season highlight for many! 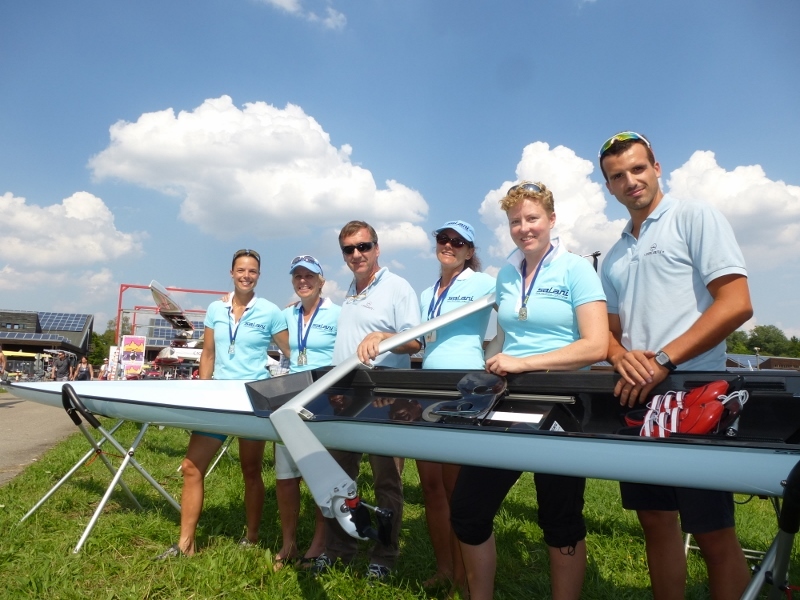 Almost 2000 athletes from 32 countries were racing at the Regatta Course Munich-Oberschleissheim. 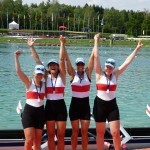 Among them was distinguished Austrian team that competed in SALANI boats in the Womens 4x and 2x. 17 boats started in the MW4x-B race in fair conditions with a slight breeze turning from tailwind to side- and eventually headwind along the 1000m course. The Austrian compound crew from WRK Argonauten, WRC Pirat and WRC Donaubund handeled their Salani-Boat (W414 mould) with ease, great fun and high speed. Especially with the wind conditions changing it was easy to keep it going straight and cut through the waves. The girls were leading the race from the 300m mark on and kept pushing through the middle 500m. At the beginning of the grandstand the chasing crew attacked but the leading Austrians found another gear and won the race by half a length. The victorious crew stopped by the SALANI booth as well for great Italian coffee and a chat with the boss. Summed up: Salani is always a pleasure !